Employees of a downtown Halifax mall found Keisha, a husky puppy, two months after Bethany MacLean left her car in the parkade. The dog was dead and appeared to have tried to eat plastic to stay alive. A 22-year-old Cape Breton woman has been sentenced to house arrest and probation for allowing her dog to starve to death in the back seat of her car in the parkade of a downtown Halifax shopping centre. 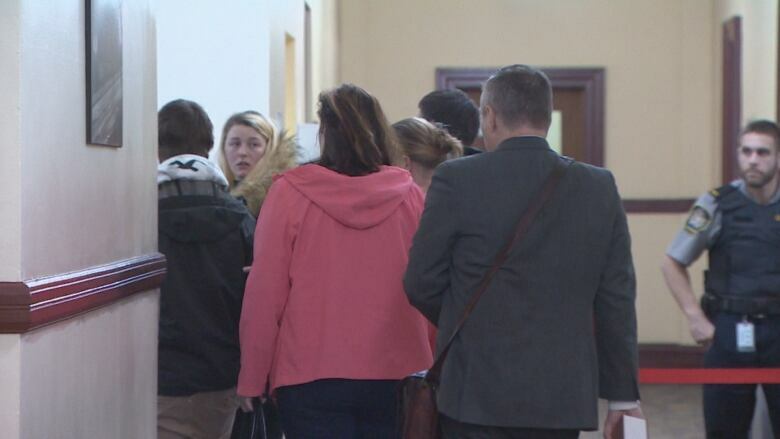 Bethany MacLean, who pleaded guilty to a charge of animal cruelty, was sentenced Tuesday in Halifax provincial court. The court was told that MacLean had driven her Nissan Sentra into the parkade at the Park Lane mall on March 27, 2017. The car was discovered by mall employees two months later, covered by a thick layer of dust. The driver's door was unlocked and when mall employees opened it, they encountered what they described as a foul odour. According to the statement of facts in court, the employees lifted a blanket in the back seat and discovered a kennel underneath. Inside, they found the remains of Keisha, a husky puppy. 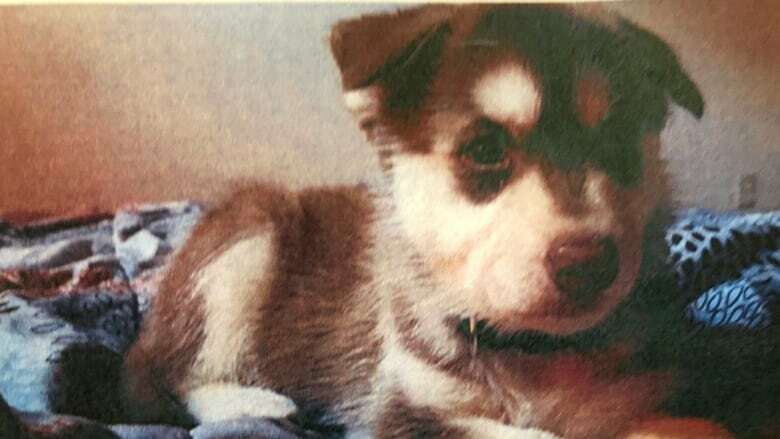 On Tuesday, Crown prosecutor Janine Kidd introduced Facebook images from MacLean's social media accounts that showed she had the puppy in May 2016. The Crown also noted that just weeks before she left her car in the parkade, Halifax Regional Police had issued MacLean a $500 ticket after Keisha and a German shepherd were found in her Nissan, which was buried under snow on South Street in the city's south end. Kidd quoted from police evidence that said both dogs were shivering and had no food or water. During the two months the car was left in the parkade, the Crown said MacLean told her ex-boyfriend — the owner of the German shepherd — that Keisha had been struck by a car and killed. During the same period, she told the manager at her job that Keisha had become sick and had to be put down. A veterinary pathologist, Laura Buckland, performed a necropsy on Keisha to determine how she died. Buckland testified that she could see and feel most of the dog's bones during an external exam. When she opened the animal up, she found no fat deposits anywhere. Even the dog's bone marrow had been eaten away. "She was truly emaciated," Buckland testified. "[She suffered a] complete loss of internal fat stores." Buckland also found no evidence of food in the dog's digestive tract; just strands of plastic the animal appeared to have eaten as it starved. Buckland said it also appeared the dog had dug at the part of the car upholstery it could reach through the bars of its kennel. The defence tried to argue that Keisha could have died in as little as two days so that it might not have suffered that long. Judge Gregory Lenehan did not accept that argument. "That dog was suffering for a long period of time to reach the state that it did," he said in his sentencing decision. MacLean showed no emotion while the veterinarian testified about how much her dog had suffered as it died. She only started crying when lawyers started discussing sentencing options. Lenehan said he couldn't understand why MacLean didn't simply drive the dog to her family home in Cape Breton or turn it over to the SPCA, rather than leaving it to starve in her car. MacLean declined an invitation to speak during her sentencing. But during the preparation of the pre-sentence report, MacLean told the author she was essentially homeless at the time of the incident because she had broken up with her boyfriend. She discovered the friend she wanted to move in with lived in a building that did not allow pets. That's when she abandoned her car in the parkade. "She must have put her brain on pause," Lenehan said. MacLean's lawyer, Billy Sparks, had asked for a conditional discharge. "I think the public would be completely outraged if Ms. MacLean were to be given a discharge in these circumstances," Lenehan said in rejecting that sentencing option. But the judge also didn't subscribe to the Crown's view that MacLean deserved a 90-day jail sentence. "I don't think it's necessary that I actually cage her for a period of time as she had her dog caged," he said. MacLean must do four months of house arrests where she will only be allowed out of her parents' home for four hours a week, other than for previously scheduled medical and legal appointments and employment. Twenty months of probation will follow. She must also complete 75 hours of community service and she's banned from owning any pets for a period of 10 years. Sparks had argued that MacLean has already experienced enough deterrence because she had been vilified on social media, including death threats. Lenehan said that was unavoidable. "Be ready for the onslaught; whether you deserve it or not is neither here nor there." Animal cruelty: Is jail a reasonable punishment?